A few days ago I received a new knife in the form of the Chris Reeve Pacific. I have not acquired a new knife for myself in quite some time. The last blade I purchased was actually a Chris Reeve small Sebenza 21 Carbon Fiber (Knife Art Exclusive) for my father as a Christmas give a couple years back. For myself, the last knife I purchased was a Chris Reeve small Sebenza 21 with Carbon Fiber inlay (BladeHQ exclusive). So this recent acquisition is a breath of fresh air. Not to say that I do not like my existing every day carry rotation of a small Sebenza 21 and Sebenza 25, but it is definitely nice to add a new blade to the collection. Although, the purchase of a fixed blade knife may appear somewhat atypical being in California, where we have knife laws that are nearly as Draconian as the gun laws. The primary reason for buying a fixed blade is that I wanted a larger working blade for outdoors use, and a secondary reason is that I simply wanted a new fixed blade for my collection (two SOG Seal Pups being my only other fixed blade knives). 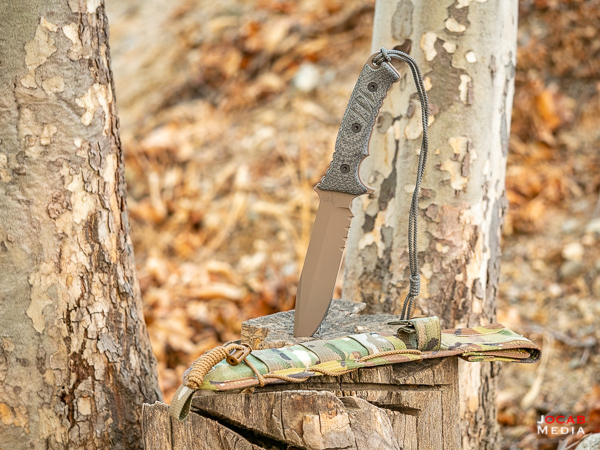 At first I was eyeballing the Chris Reeve Green Beret (with the 5.5″ blade), but when I handled the Green Beret at a local knife shop, I found that the Green Beret handle did not grip well in my hand. There was something about it that I didn’t like. I ended up inspecting the Chris Reeve Pacific and a Spartan Blades Harsey Difensa, and both of those knives gripped in my hand superbly. 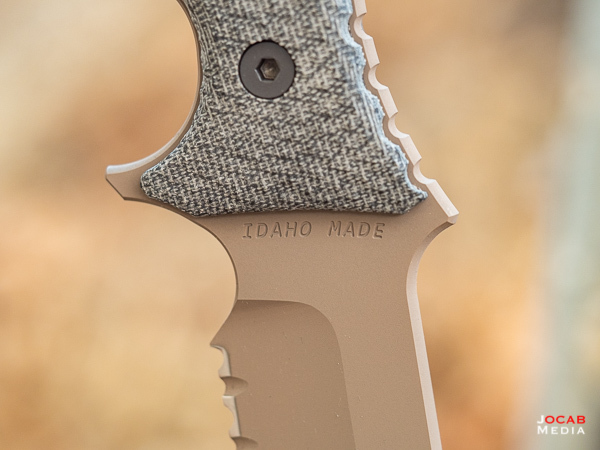 Several months had passed since I did my research and I finally decided to pick up the Chris Reeve Pacific in Flat Dark Earth KG Gun Kote finish via KnivesShipFree. KnivesShipFree is where I purchased my Chris Reeve small Sebenza 21 with Box Elder Burl inlays. As I mentioned earlier, the Pacific that I acquired is in a flat dark earth (FDE) KG Gun Kote finish. I believe earlier productions of the Pacific (and Green Beret) had PVD coated blades. 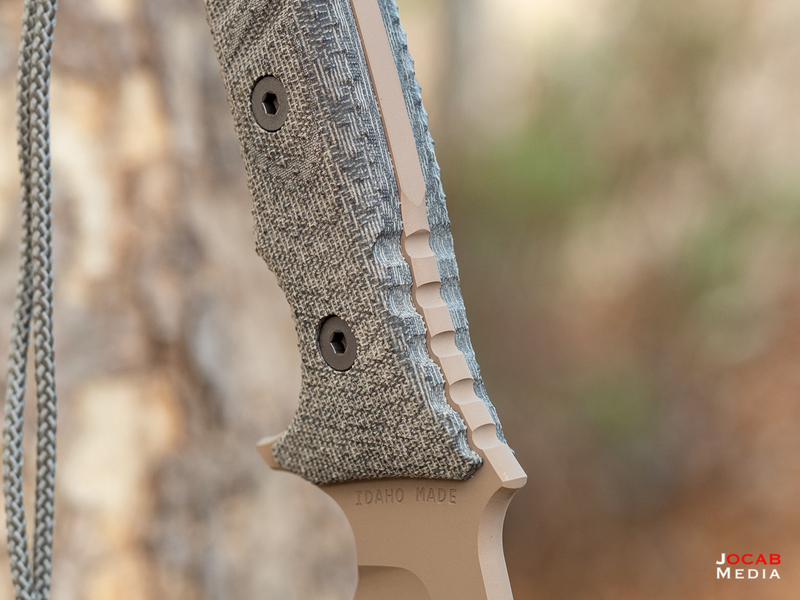 It appears that Chris Reeve Knives made the switch to KG Gun Kote coatings in 2018. 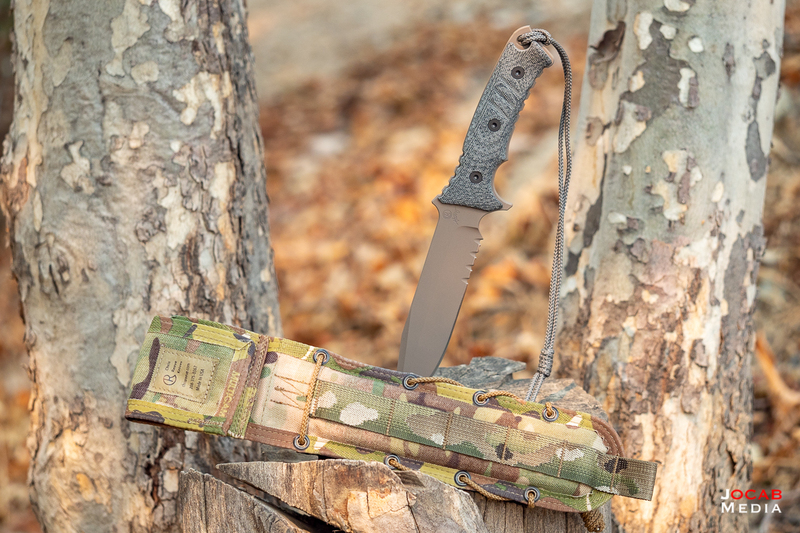 The Pacific has a 6″ blade made out of CPM S35VN steel with black canvas Micarta handles. The black canvas Micarta is the same color used for the Micarta inlays for the Sebenza. While dubbed black canvas, the color is almost like a lighter Ranger Green color. The grip of the Pacific sits well in my hand, which is why I went for the Pacific as opposed to the Green Beret. There is a very pronounced choil that will protect the hand. But as you can see in the above photo, it also has a forward choil if you want to choke up on the knife handle. There is aggressive jimping on the spine of the handle to facilitate thumb-on-spine gripping of the Pacific for those times when you want more control of a cut. 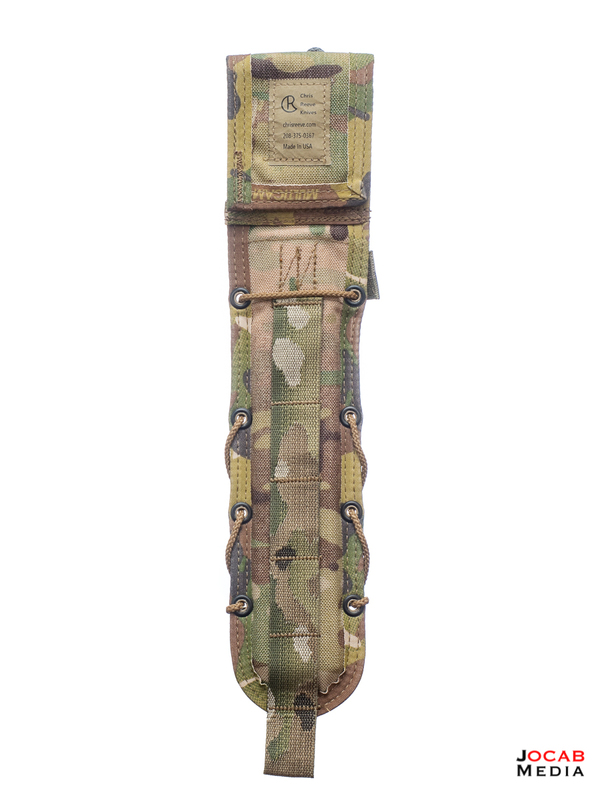 The Chris Reeve Pacific is currently bundled with a Multicam Cordura sheath bearing the Chris Reeve name. As far as I know, it is made exclusively for Chris Reeve Knives by Spec-Ops Brand. Previous iterations of the Pacific were bundled with a Spec-Ops Brand Combat Master sheath. Assuming it is made by Spec-Ops Brand on behalf of Chris Reeve Knives, it is most likely 1000 Denier Cordura with some sort of Kydex or polymer inner shell. 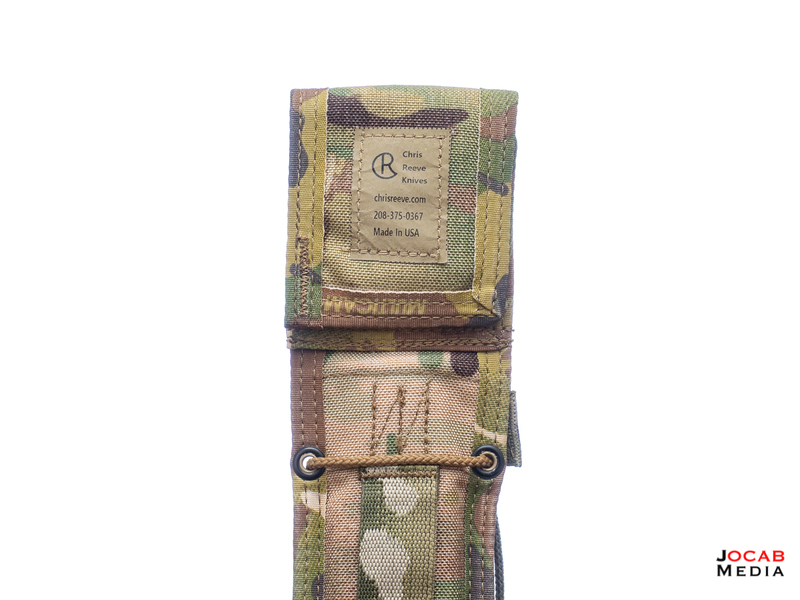 While the sheath appears to be of solid construction, I question why the backside of the sheath has the PALS webbing running such that the sheath will mate to a MOLLE compatible panel in the horizontal position, as opposed to vertical. 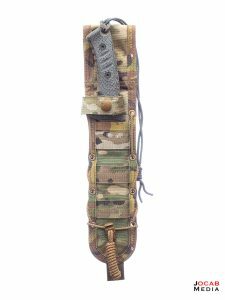 I was going to get an additional sheath from Chris Reeve Knives to keep one sheath permanently mounted to a MOLLE compatible panel (e.g. ruck or backpack, vehicle, etc.) and keep the original for belt carry. I am actually debating this now and am considering making my own Kydex sheath with MOLLE compatible attachments. 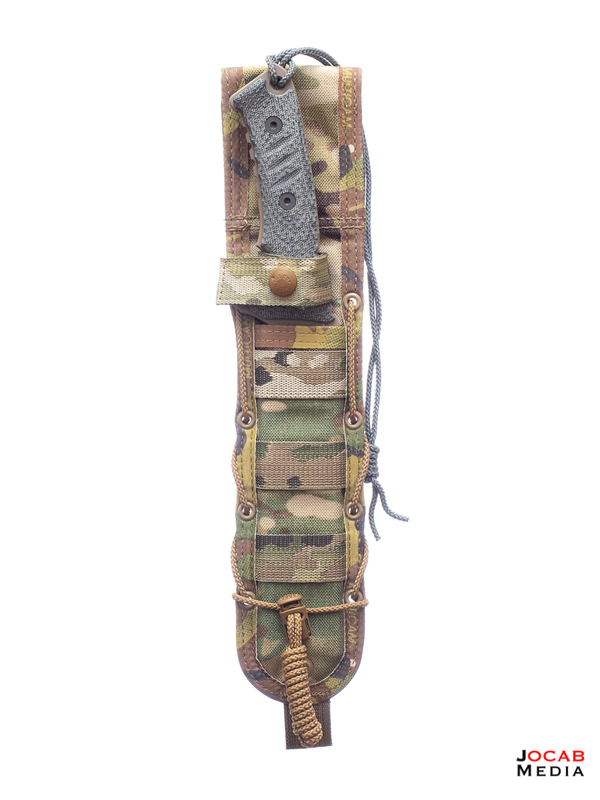 I am probably going to replace the greenish paracord lanyard that was placed on the knife with a Multicam-style colored paracord or tan paracord (I have both colors in the garage). 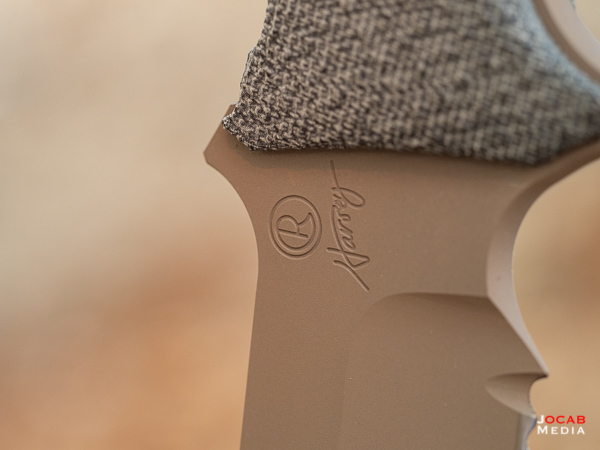 It would also be cool if Chris Reeve Knives had a coyote, Flat Dark Earth, or desert tan colored Micarta handles to match the Flat Dark Earth KG Gun Kote finish. Maybe it will be a future option. Anyway, the Chris Reeve Pacific in Flat Dark Earth is my newest blade in my small knife collection. 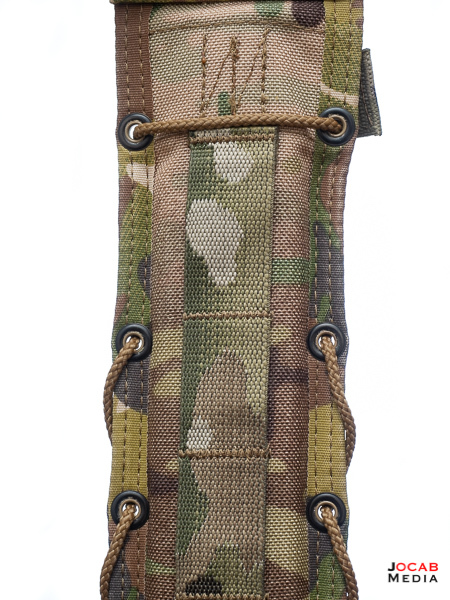 I hope this fixed blade will serve well as my go-to field utility knife. Nice knife! 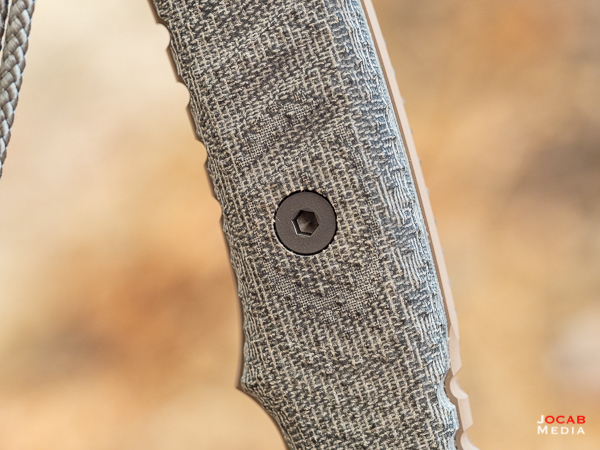 Don’t have one of those but have similar one made by Dan Winkler…great NC knife builder. Navy Seals seem to like him too, as they buy a lot from him. Check out Winklerknives.com. I definitely know Winkler Knives. I was checking out some of their axes at SHOT Show the past couple of years. They make some nice equipment. 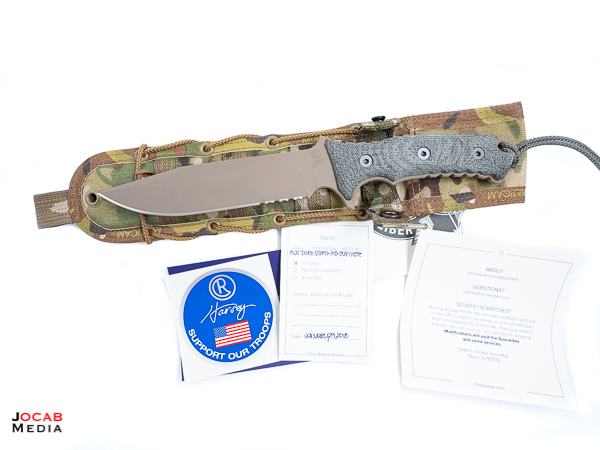 Roger that, have a small tactical axe by him too, and a folding knife…love his stuff! It’s all good! 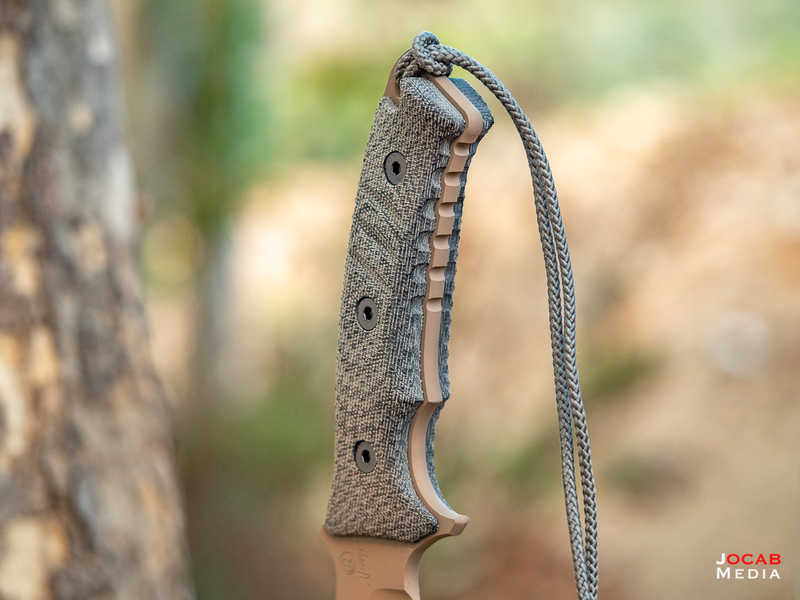 There are some great knife builders out there for sure!